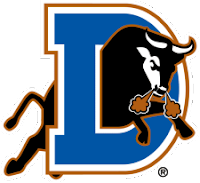 The Game: The Durham Bulls rally falls short as they lose to the Gwinnett Braves 4-3 on Monday afternoon at Durham Bulls Athletic Park. Gwinnett took the lead in the second inning, Mitch Jones doubled to center to put a runner on base. Brandon Hicks singled to left to move Jones to third. Jones then scored on an RBI single by Joe Thurston to give the Braves a 1-0 lead. The Braves increased their lead in the third inning. Freddie Freeman struck a two run homer to give them a 3-0 lead. Gwinnett’s offense added another run in the fourth inning. Brandon Hicks singled to left to get things started. Hicks then stole second and scored on a single by Joe Thurston to take a 4-0 lead. The Bulls posted their first run in the fifth inning. Jose Lobaton singled to right then advanced to second on a single by Fernando Perez. Hank Blalock then plated a run with a single to right to score Lobaton and pull the Bulls to within three. The Bulls continues to rally in the eighth inning. Hank Blalock singled to center followed by a two run homer by Dan Johnson to pull the Bulls within a run of the lead. But the Bulls could not produce another run and took a 4-3 loss. Heath Rollins fell to 0-2 with the loss, allowing 4 runs on 7 hits with a strikeout and 2 walks in 4 innings. Richard De Los Santos pitched 5 no hit innings in relief with a strikeout. Bulls Player of the Game: Richard De Los Santos; 5 no hit innings. A Look Ahead: The Bulls (14-5) hit the road to begin a four game series against the Buffalo Bisons (10-8) at Coca-Cola Field. Carlos Hernandez (2-0, 2.00) will start for Durham against Dillon Gee (3-0, 1.00) for Buffalo.